Special price for members. BONUS offer: You can take two non-members at membership prices. Conflict and dealing with difficult people is an inevitable part of work and life. We’ve all seen situations where people with different goals and needs have clashed, and we’ve all witnessed the often intense personal animosity that can result. And most of us encounter unreasonable people in our lives. We may be “stuck” with a difficult individual at work or at home. It’s easy to let a challenging person affect us and ruin our day. This month’s speaker, Jordana Byrnes, is eminently qualified to present on this subject. 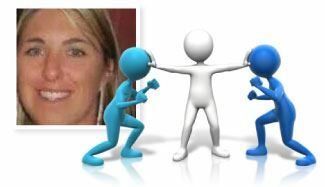 Jordana advocates good communication as the key to any successful relationship or business. An innovative and engaging trainer, Jordana will challenge and motivate this month’s SBWN dinner event attendees to improve the vital communication skills which are invaluable both in business and in life. SPECIAL NOTE: there is a cap on numbers for this month’s event as the venue is more intimate, so get in early to avoid disappointment. 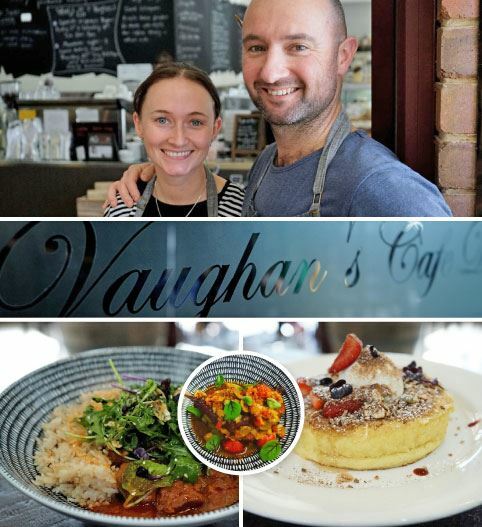 Vaughan’s Cafe Deli, established in September 2013, represents the fruition of a 20 year long dream for proprietors Andrew and Agnes Falzon. Born and bred in Morwell, the couple spent some time in Melbourne before deciding to relocate to Inverloch four years ago. Vaughan’s is family owned and operated and prides itself on consistently delicious food, great coffee, a brimming deli cabinet and a great selection of boutique and local wines. Above: 'Serving delicious local goodness daily' is the motto of our May Dinner Event hosts Andrew and Agnes Falzon at Vaughan's Cafe and Deli in Inverloch. Booking cancellations may occur up to 48 hrs prior to the event date. After that time money has been spent in order to cater for your place at the event and funds cannot be refunded. Thank you for your understanding.